The Casio PX-560 is one of the newest additions to the Privia Series. It is a very functional, portable digital stage piano that can be used both at home and during concerts. At a MSRP of $1,200, this piano is certainly higher on the pay scale, but there are indeed some features here that you won’t find on other pianos. Users can expect smooth, rich sounds with string resonance courtesy of Casio’s AiR Sound technology. The Casio PX-560 is an 88-weighted key digital piano that features a Tri-Sensor Hammer Action II keyboard with ebony and ivory key tops for an authentic piano feel. There happen to be three sensors on the ivory and ebony keys that allow for the keyboard to mimic the feel of a grand piano. The weight in and around the keys is distributed gradually; getting heavier as you go lower and lighter as you climb the scales. 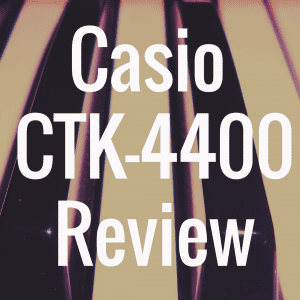 Compared to other models that are currently on the market within this price range, the key action featured on the Casio PX-560 is a step above the rest. Especially within the Casio company, there are other models that are using two sensors instead of three, and it just doesn’t cut it. So, is the PX-560 worth your time and money? 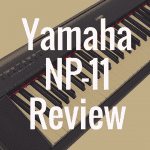 Well, we’re going to find out that answer with our in-depth review, where we’ll discuss the positives and negatives of this instrument and even compare it to some of its competitors. 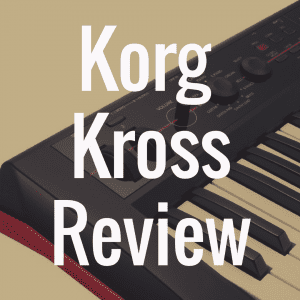 Below, please use the helpful guide to see how well the Casio PX-560 stacks up against other great pianos, like the very popular Casio PX-5S. The Casio PX-560 features a 5.3” color touch screen that has not been available in previous versions. It’s not typical of digital pianos in this price range to include this type of technology, so right off the bat, this is positive indicator that you’re getting a little innovation by Casio for your money. In fact, another Casio piano—the Casio PX-5S (to be compared in-depth to the PX-560 later)—is one model that is similar in price but lacks the color touch screen. Now, while I’m sure that Casio strives to make each and every digital piano the best it can be when its released, the color touch screen is definitely a game changer—at least for me. We live in a world full of bright, vivid color screens and retina devices. It’s nice to know that, when you come home to practice on your piano, that you’re interacting with a screen that finally feels updated for our modern world. Let’s now examine the sounds that come inside the PX-560. Because with 65 different built-in tones, you can really spend your time finding favorites and having quite a bit of fun. There are so many to choose from and they all sound great on the Casio PX-560. Players also have the option to add 400 tones of their choice. The rhythm function also has over 180 different rhythms, including Waltz and Latin, making it an enjoyable (and very eclectic) feature. And in conjunction with the weighted key action technology, the 256-note polyphony is expressed in an audibly present manner, with few inconsistencies when playing through a progression. This digital player also has a dual layer technique that allows two different sounds on one key. This “dual mode” is not to be confused with “split” mode or “duo mode.” My favorite combinations are “piano and strings” or “piano and organs.” Normally, you’ll have a digital piano that will split the range of the keyboard, but now I can have two instruments on one key and it really expands the expression of my musical pieces. “Split” mode refers to when one side of the keyboard has the sound of one instrument and the other side features a different instrument. Although, the Casio PX-560 does indeed allow for split mode, when you hear how you can enhance your pieces with the layering tool, you’ll never want to use anything else. Split mode is best used for simpler pieces or for people who are experimenting with different sounds, or those in the learning phase of their piano playing development. And speaking of learning, the classroom or duet mode on the PX-560 is great to have for a lesson between students and teachers. Another nice feature for performing is the Master EQ or equalizer. It has 4 bands parametric EQ to give you full control of your sound during performances, along with additional digital effects for your instrument. I like that Casio gave us sliders rather than an automatic EQ button, because now you can customize the settings to your liking. When it comes to performance features, I am not a fan of automatic settings because it just tells me that it will be a “fixed” fit for the environment I’m in at all times and sometimes, rather than one tailored to my particular liking or location. With the PX-560, you can record up to 100 songs, but using the MIDI you can record over 1,000. Other connections include USB to host or device. And if you’re a public performer, the external amp connection has an input and output jack one can take advantage of, as well. The PX-560 does feature a smaller speaker than expected, however the output is greater than most portables I’ve played on, so I found that to be a bit of a wash and overall not a big deal. In the past, the Casio PX-5S was seen as the standard digital piano from the company, as well as the essence of their sound. Nowadays, there are some of people that are saying that the PX-5S pales in comparison to the PX-560, but I don’t believe the difference is that dramatic. Right now, the PX-560 is selling for $1,200 while the PX-5S is only $200 less, selling at $1,000. The major difference between these two pianos is that the PX-560 features the 5.3” color touch screen that is not typical of pianos in this price range. For a $200 difference, the technology capabilities of the PX-560 alone are worth it. With the PX-560, you can control your performances from the screen that sits at a tilt for a perfect view when you’re playing. Not to mention you can connect to a variety of devices. The specifications and how they play come down to preference, as they did with me, but from a financial perspective, the PX-560 is a pretty good deal. However, the Casio PX-5S is no slouch (at all), and if you can acquire it for a good price (and you’re OK with sacrificing the superior touch screen of the PX-560), you might want to strongly consider going for it. In comparison to the PX-360, both digital pianos utilize Casio’s revolutionary sound system known as Acoustic and Intelligent Resonance (also known as AiR). They are similar in weight and size, but the PX-560 is what the PX-360 is and more. There are a lot more voices to play with and you have an increased polyphony to 256 (as opposed to 192), increasing the possibilities for the performance of a piece (especially if it’s a complex piece). By itself, the PX-360 presents players with a lot of the great features that we expect from Casio, but it’s safe to say that they’ve only continued to improve upon their offerings that are clearly exhibited in the PX-560. The PX-360 is selling for $700. As we previously learned, the PX-560 is selling for $1,200. Now, of course, if money is a major factor, it’s probably a no-brainer for you to select the PX-360—and that would be understandable. In fact, if I was already a PX-360 owner, I’d argue that I didn’t see too many differences between these two pianos that would make me want to jump up and buy the PX-560 for almost double the price of the 360. Additional voices alone are not enough for me to leave a quality piano. However, the sound quality is noticeable – especially in a public setting. This $500 difference may not appeal to the untrained ear, but if you’re going out and performing and you want to look and sound your best, the PX-560 is the way to go. Again, it just depends on your needs and what you value most. If you’re the type of person who is looking for a simple home piano with enough voices to toy around with, but you’re not willing to increase your budget by 50%, I would say to go for the PX-360. I like how versatile the Casio PX-560 is. It will perform well during concerts, in studios, and professional settings, but it can also be using as a school or home piano. When you think about all the ways this piano can be used, the price is a bit more understandable. 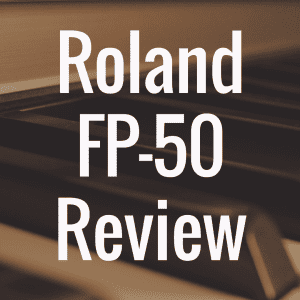 There are a lot of digital pianos on the market for a lesser price, but you won’t get near the same quality of technology, tones, and user-functionality that you get with the PX-560. Parents of beginners or beginners themselves may be struggling to pay this much money for a digital piano at this stage of their experience. It’s perfectly fine to purchase a piano that meets your basic needs or to get a feel for the piano. 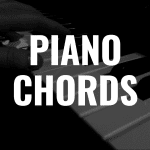 If you’re not entirely sure that the piano is for you or you’re the parent of a child who is new to the instrument, by all means try out a lower-grade piano. However, if you’re a beginner to intermediate level player that’s deciding between pianos, the Casio PX-560 is a piano that you can take with you everywhere, and you can have it for a long time. As far as skill levels go, I don’t really see anyone growing out this piano for some time. There are a variety of less costly pianos that people are using to perform. With so many similarities to its competitors, the real difference in the Casio PX-560 is its features in a performance setting. 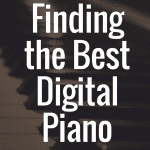 Yes, there are less expensive home pianos or more tailored pianos for experience levels but public setting performers can’t get a better deal for this digital piano. If you felt this review was helpful, please “like us” on our Facebook page!